Essential oils are versatile plant-based wonders. They can be soothing and relaxing, stimulating and uplifting, naturally antibacterial and antiseptic and useful for almost all areas of your daily life. I started making products with essential oils years ago to get away from chemical based products that have cause problems for our bodies and the planet. Here are some suggestions and ways that you can use these oils. This is a great way to use essential oils. Their therapeutic properties seep into your skin, relaxing and toning muscles. Dilute the oil in a carrier oil such as Sweet Almond or Grapeseed oil, never put pure essential oils on the skin (exceptions to this are lavender and Tea Tree). Beazer's Garden Holiday Sale- 20% off! TO ARRIVE IN TIME FOR CHRISTMAS! handmade bath & body products! December 2 is Cyber Monday! 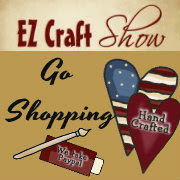 Visit my booth on ezcraftshow and get these great discounts!